Converting from another flying discipline to soaring gliders is quite common place. A high percentage of glider pilots also have significant aviation experience. 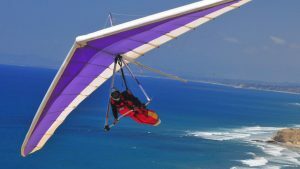 Perhaps you’re experienced in flying light aircraft, microlights, paragliders or hang gliders. Whatever your aviation background you will have a significant advantage over a person starting from scratch. And we will tailor your training to make the most of your past experience. You can expect to make quite quick progress. It’s normal for the average flight time to solo to be in excess of an hour at Talgarth. We’re aerotow only so it’s not like a winch operation where many of your flights will be just a few minutes. However, you may also have a few surprises. At Talgarth we have ex-military pilots, airline pilots, display aerobatic pilots, paragliders and quite a few hang glider pilots. All found aspects of the ‘transition’ to flying gliders surprising in one way or another. The general perception among GA pilots seems to be that gliding is sedate, that we generally float around. However, the reality is that soaring flight in high performance gliders is actually very dynamic. Glider pilots are constantly maneuvering, to find the best lift, and then varying speed considerably to get through areas of sinking air and into the next area of rising air. 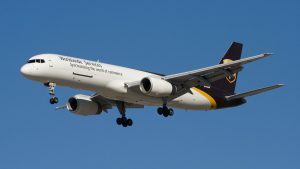 Long cross country flights of 300/500km, and 3 to 6 hours are common. The dynamic nature of gliding, couple with the concentration and decision making is what makes the sport so intoxicating. The speed envelope of a mid-range glider is from 40 Knots to around 140! And in a typical flight we might use most of that speed range. Gliders are cleared for most positive G aerobatics. This means they are stronger than people expect them to be. Heavier too, especially when we fill the wings with water (perhaps close to a quarter ton of the stuff) to make them even heavier for the best conditions! 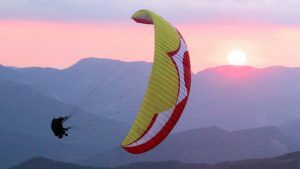 Paraglider pilots, and to a lesser extent hang glider pilots have some common misconceptions typically around cost and low flight duration. They also find the leap in performance of even a basic training glider hard to adjust to. Getting used to intentionally leaving lift is a foreign idea for a paraglider pilot. But flying distances quickly in a glider is reliant on decision making and staying in weak lift is a bad one when the odds are there is better on track! A tactic that would probably see a paraglider in a field! Pilots of HG/PG will quickly adapt to thermalling a glider though. It’s easier to centre and we can use weaker lift as a glider has a minimum sink rate about half that of a paraglider. Ridge soaring takes on a whole new meaning compared with PG/HG. A glider has the performance to let us treat a series of separate ridges as one. And ridges ‘work’ when the wind is too far ‘off’ for the foot launched gliders with their higher sink rate and lower speed ranges. There is little risk of being ‘blown over the back’ and a glider can deal with considerable turbulence. The feeling of ‘security’ is very reassuring for pilots coming from ‘foot launched’ flying. We’ve all seen gliders circling in lift, thermalling, but the real action is probably out of sight, between a couple of thousand feet and cloudbase. Occaisionaly well above the cloudbase. Glider pilots flying cross country will be ‘routing’ to maximise ‘energy’ in the convective layer, often flying huge distances without having to ‘stop’ and circle in lift. Gliders also make flights in ‘wave’ conditions. These ‘stationary’ wave systems that set up in the lee of mountain ranges provide strong lift over large areas and extend to high altitudes. The Talgarth height record stands at over 30,000ft. The recent World Record is currently above 76,000 feet which is above the U-2 spy planes record altitude of 73,500 feet. Pilots coming into gliding from other flying sports are surprised by the weather that can deliver decent soaring conditions. Being on the edge of a good size range of mountains provides lots of options. At Talgarth we typically fly on close to 200 days per year. A military and commercial pilot discovers gliding!